This week, researchers from universities across the country gathered at FIU in D.C. to discuss an unprecedented study on adolescent brain cognitive development dubbed ABCD. FIU, along with 19 other institutions, was designated by the National Institutes of Health (NIH) as one of the research sites to conduct the study. Raul Gonzalez and Angie Laird advocating for the ABCD study in D.C.
Raul Gonzalez of the Psychology Department and Angie Laird, director of the Cognitive Neuroscience and Imaging Center, were in the nation’s capital to represent FIU’s role in the large scale longitudinal study. The duo visited a total of nine congressional offices during their day in Washington, D.C soliciting support for a multi-billion dollar increase to the NIH budget. 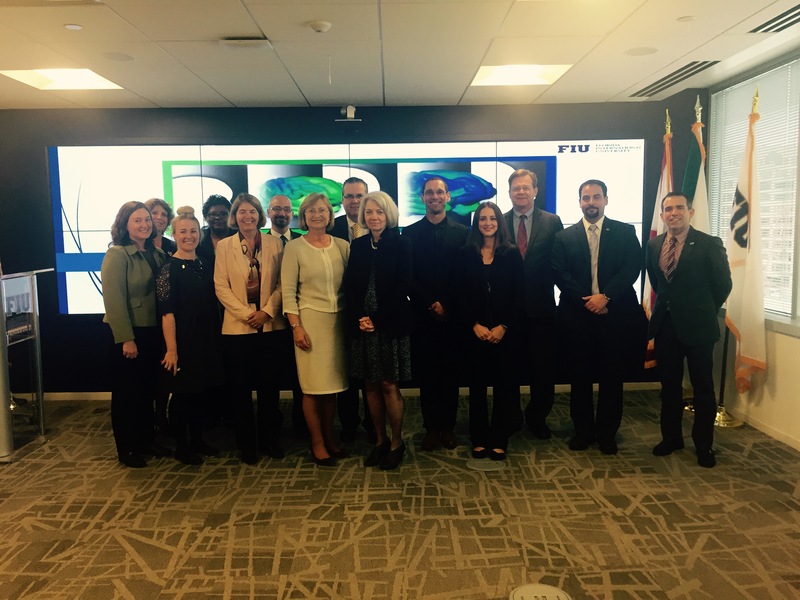 “We couldn’t be more thrilled that FIU and the South Florida community will be represented in this national landmark study, and it’s wonderful see how much our members of Congress value FIU and what we have to offer to the scientific community in the U.S.,” Gonzalez said. The study is the largest long-term evaluation of brain development and child health ever to be conducted in the United States. Research sites, including FIU, will recruit approximately 10,000 children ages 9-10 and follow them for 10 years into early adulthood. The goal is to increase our understanding of the many factors – from biological to environmental – that enhance or disrupt a young person’s life trajectory. In Miami, 600-900 children will participate in the evaluation thanks to a strong partnership with Miami-Dade County Public Schools. The study’s presence in South Florida allows FIU researchers to tap into a diverse population representing the future demography of the nation. Apart from invaluable research findings, the study will also employ researchers and introduce children to STEM fields at a young age. 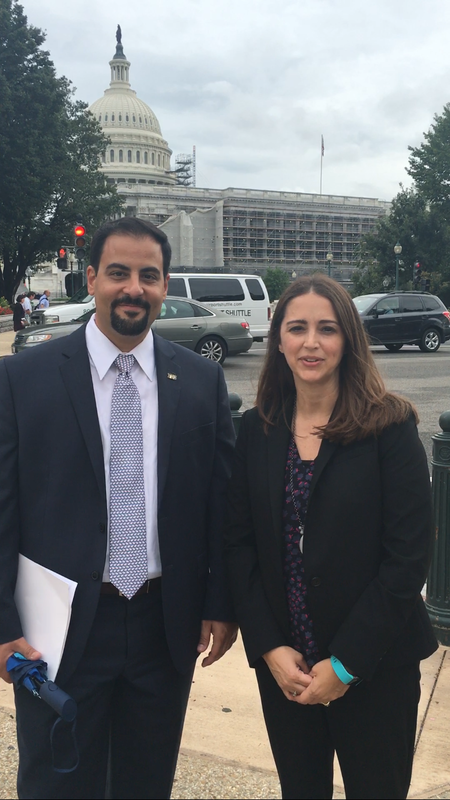 After a morning planning session with the research cohort at FIU in D.C., Gonzalez and Laird took to the Hill to ask Congress for support of a $2 billion plus-up to NIH’s budget, which will continue to fund the study. The pair met with the offices of both Florida Senators and seven U.S. Representatives from South Florida, including Rep. Mario Diaz-Balart and Rep. Lois Frankel.